Carol Daw has a Bachelor’s Degree in Sociology and Criminology from St. Patrick’s College in Ottawa and a Bachelor’s as well as a Master’s Degree in Social Work from the University of Calgary. Her initial Family and Divorce Mediation training was in 1992 through the Legal Education Society of Alberta. In both 1994 and 1995, she received training in Employment Mediation with the Human Rights Commission, as well as advanced training through the Alberta Arbitration and Mediation Society. 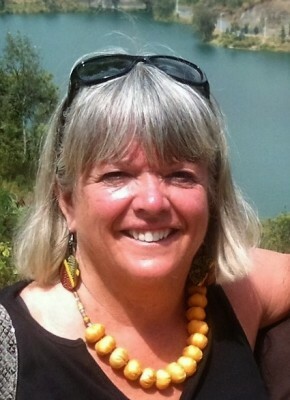 Since then, Carol has taken a multitude of post-graduate training courses in counselling, mediation and supervision. She has Level I, Level II and advanced training in EMDR therapy and she is an EMDRIA certified therapist. Carol is a Clinical Social Worker and Mediator with over 35 years of experience working in Calgary in a variety of social service capacities. Carol is registered with the Alberta College of Social Workers and has been a Member of Family Mediation Canada for over 20 years. Carol’s diverse experience includes working for 10 years doing assessments and mediations in disputed child custody cases, over 15 years doing investigations, educational seminars and mediations for the Human Rights Commission, and over 17 years doing individual, couple, and family counselling and mediation. Carol has a very strong strengths-based approach, always seeking to work with individuals, couples, or families to help them to acknowledge and use their strengths to resolve their personal or interpersonal issues. Carol was raised in a family of five children. She has been married for almost 35 years and has three grown children and two grandchildren.